Each year when the warm weather hits, our driveway starts to look like a scene out of CSI. Multiple chalk outlines of various sizes of bodies. 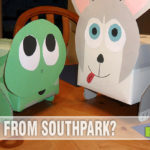 And oddly surrounding it are flowers, suns, houses, bunny rabbits and bears. Yes, children live at our house. WhenI was a kid, if we wanted to write on the sidewalk, we found a soft rock and scratched away. Today, you can walk through a neighborhood and easily determine if children live there (and often about how old those kids are) simply by analyzing the writing and pictures on the driveway. 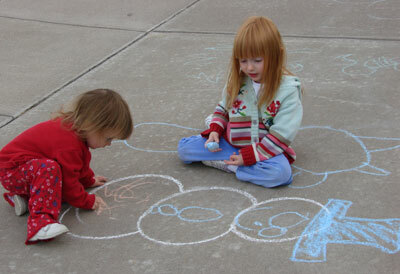 We had chalk when I was a kid – school chalk, chalkboard chalk – but nothing like this. 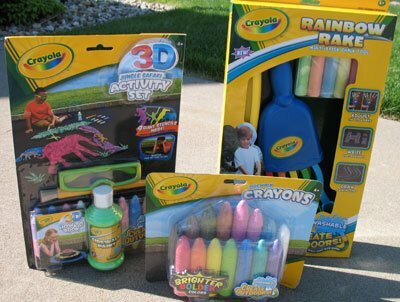 One of my PR firms sent me a package of Crayola products as part of the Crayola Outdoor Challenge promotion. Olympic Gold Medalist Dan O’Brien is working with Crayola to get families to commit to being active this summer. No only do children need to exercise their bodies but also their minds and imagination! As we walked to the park one day, we met up with a hopscotch board that had more than the traditional 10 squares. It had about 150! That’s imaginative, ambitious and if they actually hop it all… very active! 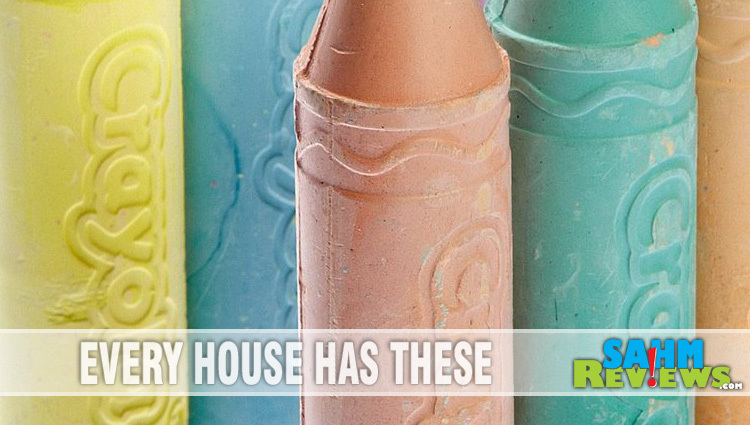 If you haven’t looked at what Crayola has to offer these days, you’ll be quite shocked. The 3D activity set includes stencils, chalk ‘paint’ and a brush along with directions and glasses for making 3D sidewalk art. Stencils seem like a natural progression for chalk since we all end up laying on the ground being outlined anyhow. At least now I can have a lizard running up my outlined arm if the girls so choose. But since the color spectrum of the chalk has always been so light, I hadn’t given much thought to being able to make anything appear 3D. It was weird, but the chalk did demonstrate a funky 3D appearance when I put on the glasses that come with the set. The girls were using the chalk to mainly just freely draw and color whatever they wanted but with the glasses, certain colors pop off of the sidewalk. The Rainbow Rake, is pretty much exactly as the name implies. 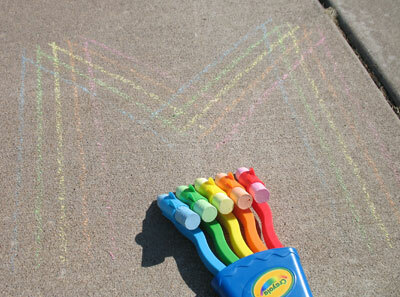 It’s a rake for making rainbow designs using the chalk that is included or others that you have on hand. The girls had a ball making rainbows and writing their name out using this but tended to have a bit of trouble getting it to consistently work. 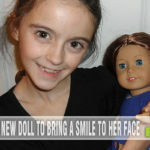 When an older neighbor girl tried it out, she was able to use it flawlessly. I think that my girls had a bit of a disadvantage due to their small stature. But as you can see from the picture, it does look pretty cool and it’s nice that it doesn’t require specially purchased chalk for it. The final package, the one I thought was the coolest, was full of extremely vibrant chalk. I’m used to traditional pastel colors but these made a sun look… well, bright. The girls got so creative when they started using these bold colors. No more drab sun on our driveway. It’s been replaced with a bright one. Although I haven’t seen the brighter, bolder chalk in the multi-pack tub, there were quite a few in the package I received. My only recommendation to Crayola is to create the tub and include duplicates of the brightest colors because our yellow, purple and blue were half gone after one sitting. Now for the good stuff. Crayola has been so gracious as to provide extras for my readers! (Thank you, Crayola!) If you’re interested in winning a set of these, keep reading. 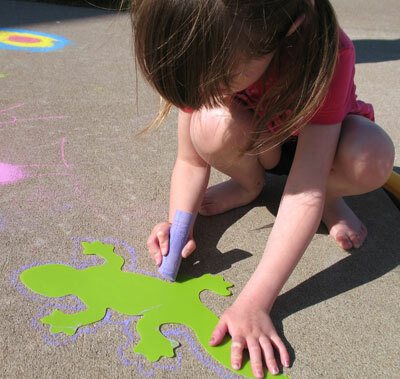 We would have lots of fun with the Sidewalk Paint Tray. The children I provide care for would spend hours and hours drawing with the Crayola Giant Sidewalk Chalk! I think the chalk n roll would be lots of fun. I remember playing hopscotch as a little girl. My daughter would love the Sidewalk Stencils-Little Mermaid. My kids would love the paint sprayer! 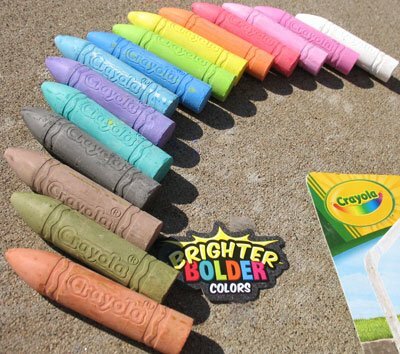 My granddaughter loves the Giant Sidewalk Chalk and I think she would also like the Crayola® 3-D Activity Chalk Kit – Underwater Adventure. I took the Outdoor Challenge Pledge. We would love the Sidewalk Paint Sprayer. I took the Outdoor Challenge Pledge. Tweeted and I follow you on Twitter. My daughter is excited about the Giant Sidewalk chalk. Thank you! I love the sidewalk paint tray!!! 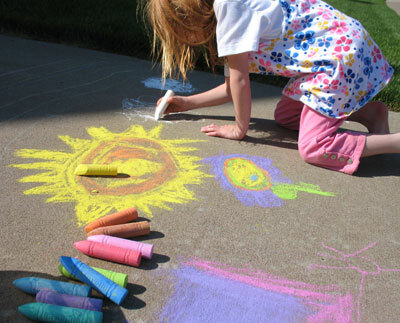 the outdoor chalk sprayer would definitely spark some creative energy around our house! I would love the sidewalk paint sprayer. I have seen it in the stores several times and almost bought it. I think we'd have a blast with the rainbow rake! 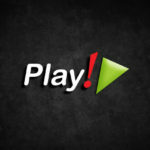 I'm following using google friend connect! My son would go nuts for the Rainbow Rake! Thanks for the chance. My daughters would have fun with the Sidewalk Paint Sprayer. I like the outdoor chalk sprayer . That'll keep'em busy. 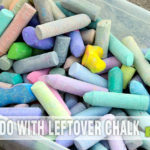 I took the challenge and we would love to get active with any of these great products… the rainbow rake and sidewalk paint tray are products I think my two boys would really love, though. The Chalk N Roll is definitely something I can picture my daughter running up and down the driveway and the sidewalk with. Fun! Right now, since my son is only 2, I think I'd stick with the Giant Sidewalk Chalk. It would be a great starting point. I know my kids would have so much fun with the chALK AND ROLL. Oh, the sidewalk rake for sure! My kids would go crazy with the Sidewalk Paint Sprayer. The chalk and roll would be so much fun! My son could get hours of entertainment from that! Thanks for such an awesome give away!